David Cameron doesn’t half talk a good game. In a recent editorial for The FT, he shrugged off our economic woes to set out a bright future for the UK and all who trade, toil and trust in her. We are actually in a sweet spot, the PM insisted. We are one of the few nations in the eurozone to retain our triple-A rating, international trade is creeping up, and we have ‘some of the best universities in the world, the most favourable timezone in the world, and the world’s first language’. Of course, once upon a time, Greece had the world’s 'first language'. Then it was Italy. And look at the sorry state these two great nations are now in. We digress. 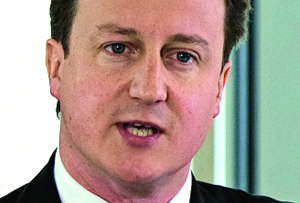 Cameron is looking to capitalise on the strengths of our great nation to unlock global trade. But his focus on boosting competitiveness is at odds with his pledge to help our European cousins. ‘At the G20 I’ll be making the argument that inward-looking, beggar-my-neighbour policies benefit no one,’ he said. ‘We have to push for a more balanced world economy, where countries like the UK do better at saving and investing and restoring their competitiveness.’ Glibly playing both sides, then. Cameron and Clegg have both promised that this new fund will encourage British businesses to get spending too: Clegg told BBC Radio 4's Today programme this morning that each pound of public money would generate £6 of private sector investment. The process has already begun: BT has announced it is to spend £300m to help two thirds of homes and offices get access to super-fast fibre broadband by the end of 2014. But there is no doubt that the pair is still divided over Europe: Cameron wants to reclaim powers from Brussels to safeguard the City’s dominance of financial services, while Clegg insists we should be ‘less reliant on the City of London and financial services’. But that is a battle for another day. For now, ‘this coalition has the determination to do the right thing for our country, so that we don’t just weather the international storm – but come out stronger on the other side.’ Well put, Cameron. Now walk the walk.